Kollmorgen understands the food and beverage industry’s rigorous demands for cleanliness. Food safety is vital to the integrity and reputation of your brand. And with the advent of the Food Safety Modernization Act in the U.S. and increasingly strict regulations worldwide, the ability to demonstrate effective procedures for preventing contamination is becoming critical to your ability to continue operating from day to day. Everything from bearing grease to finishing materials must be safe for consumption should it ever come into contact with the product. Moreover, everything must be able to withstand corrosive cleaners and frequent washdowns. 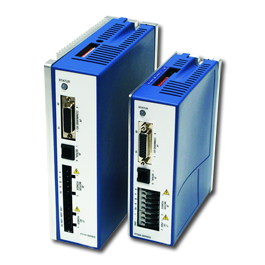 We provide food-grade options and ingress protection up to IP67 for motors, decentralized drives, gearheads and other components. 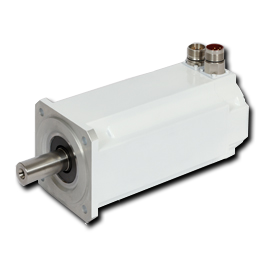 We even offer stainless steel motor and gearhead options built to IP69K standards and designed with a smooth, seamless housing that gives pathogens nowhere to hide. Build your machine with fewer components. Make sure those components are designed for easy cleaning without disassembly and long life under harsh washdown conditions. The result is a machine that spends far less time in cleaning, maintenance and repair – and far more time delivering products and profits.